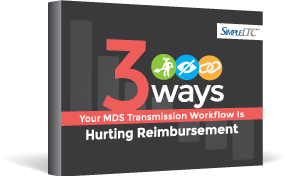 How is MDS transmission affecting your bottom line? Transmitting MDS assessments to CMS is more than just an operational function. In order to be successful, skilled nursing facilities must carefully manage their MDS workflow and transmission in order to achieve optimal reimbursement. Just complete the form to download your eBook.